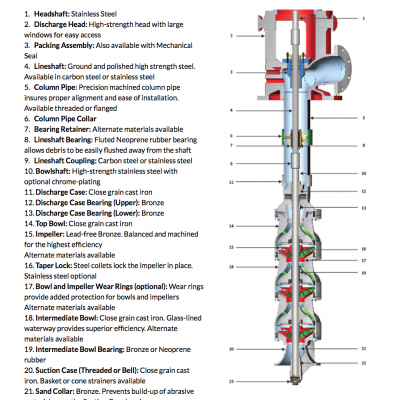 We handle many types of pumps, but there is nothing that we know better than a Vertical Turbine Pump! 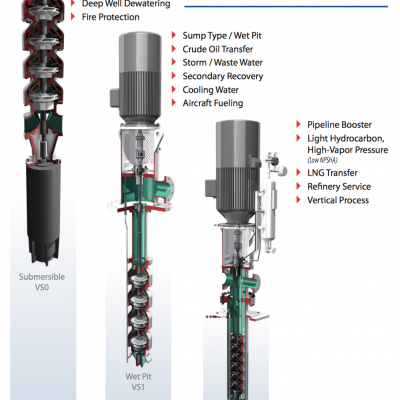 We have worked with the vertical turbine pump throughout the company’s 60+ year history. 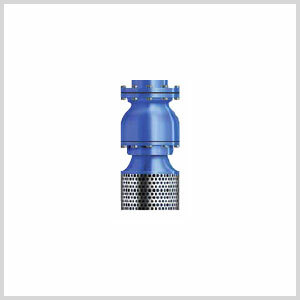 A turbine pump motor and discharge head form the basis of our company logo. 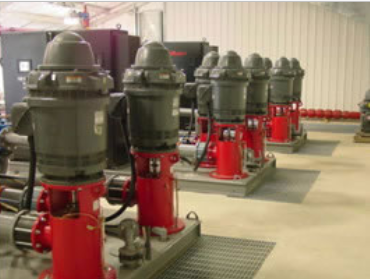 The vertical turbine pump offers many benefits over other types of pumps. 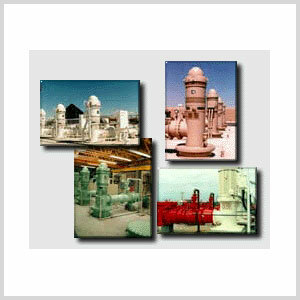 They are able to perform under very diverse flow conditions and liquid types. 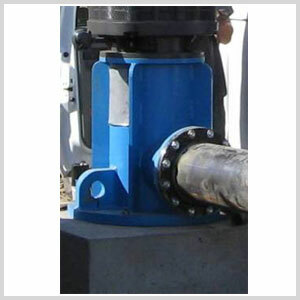 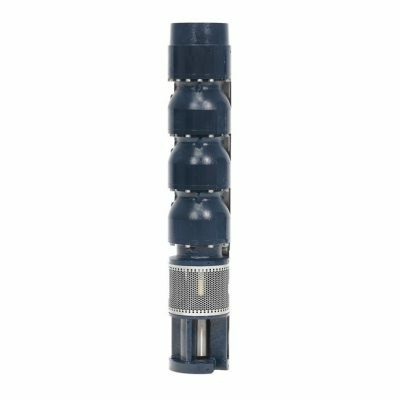 Turbine pumps by all standards are very durable, arguably outlasting all other product types, they are readily repairable, and provide unparalleled value. 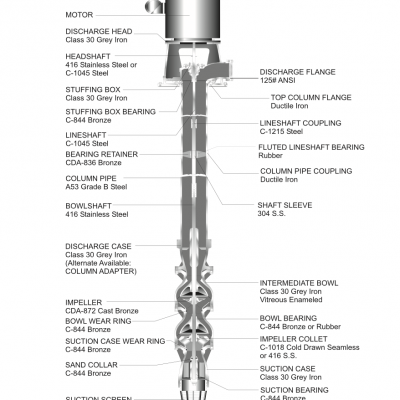 With additional lead times turbines are available in a wide variety of materials and special coatings. 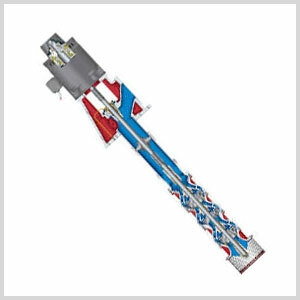 We handle every major turbine brand, providing sales, re-manufacturing and service for any brand.